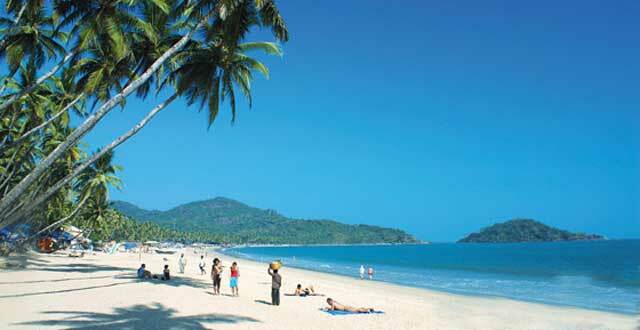 Goa Air Package : airfare + Hotel + Traveling. Includes : Return airfare for sector Delhi-Goa-Delhi using economy classusing Go Air, Arrival and departure airport transfers by AC vehicle (On sharing basis), Accommodation for 03 nights at Heritage Village Club Goa in Design Room , Buffet / fixed menu breakfast, lunch and dinner, Mid morning and mid afternoon snacks, Unlimited Alcoholic & Non Alcoholic beverages (from 1100 hrs to 2300 hrs, house brands served by the glass), Daily exciting evening entertainment, 01 half day sightseeing of places of tourist interest followed by a 1 hour cruise on the river Mandovi (weather permitting)with English speaking guide, All applicable hotel taxes. Flight Details: Go Air G8-332 Departure Delhi: 1215hrs& Arrival Goa: 1600hrs (Via Mumbai), (No change in aircraft), On arrival in Goa free transfer to Heritage Village Club Goa, Check-in at your pre-booked hotel. Explore the resort and the various activities it has. Ask the friendly hotel staff any questions you may have. Enjoy the resort’s day long entertainment with fun games and pool games. Enjoy your complimentary drinks and dinner at the hotel. Overnight at hotel. Morning breakfast at hotel, First half at leisure to enjoy resort’s facilities. We recommend a lazy morning at the pool and spa, After lunch set out on a half day sightseeing tour of Goa., Visit Mangeshi temple, Old Goa Church, Miramar Beach., Follow this up with a relaxed boat cruise on river Mandovi (weather permitting), Evening enjoy your complimentary drinks and dinner at hotel., Overnight at hotel. After breakfast, you are at leisure to explore the beach on your own. Enjoy the scenery, take long strolls on the silvery sands or simply lounge on a deck chair and work on your tan. Lunch at hotel. You are at leisure for the rest of the day. (We recommend the indoor and outdoor games and some lounging around with a nice book), Enjoy your complimentary drinks and dinner at hotel. Overnight at hotel. Go Air G8-372 Departure Goa: 1630 hrs& Arrival Delhi: 2010 hrs(Via Mumbai), (No change in aircraft). Goa - Delhi: Go Air G8-332Departure Delhi: 1215hrs& Arrival Goa: 1600hrs (Via Mumbai). Delhi - Goa: Go Air G8-372Departure Goa: 1630hrs& Arrival Delhi: 2010 hrs (Via Mumbai).